activpayroll Takes Part in World’s Biggest Coffee Morning! On Friday 30th September, the Edinburgh activpayroll team held a coffee morning in aid of Macmillan Cancer Support’s World’s Biggest Coffee Morning. An impressive array of cakes and sweet treats were created by the team, including an Oreo Cheesecake, Carrot and Walnut Cake, Tiramisu and Tablet. The team brought in a total of 15 baked goods, while the less adventurous bakers brought in some shop bought goods. Carolyn and Karen were awarded the title of ‘Best Bakers’ for their delicious efforts. 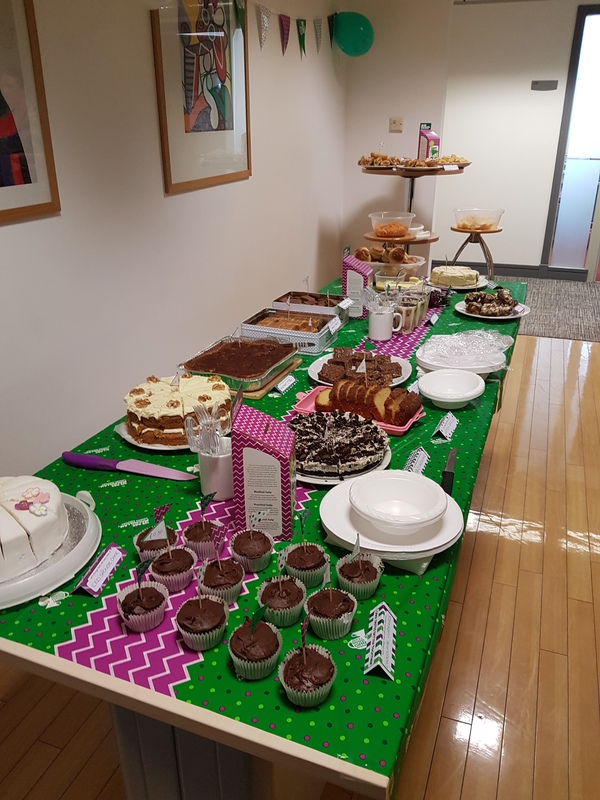 The coffee morning generated a total of £157.08 for Macmillan thanks to the generosity of the team, adding to the amazing £7,091,223 that Macmillan has already raised through the World’s Biggest Coffee Morning Initiative. Although there has been a huge focus on this year’s CSR campaign, #activAlison, the team always like to ensure that other causes are recognised and supported, especially due to the fact that cancer has affected so many members of the team.